A futuristic sans serif caps headline face. 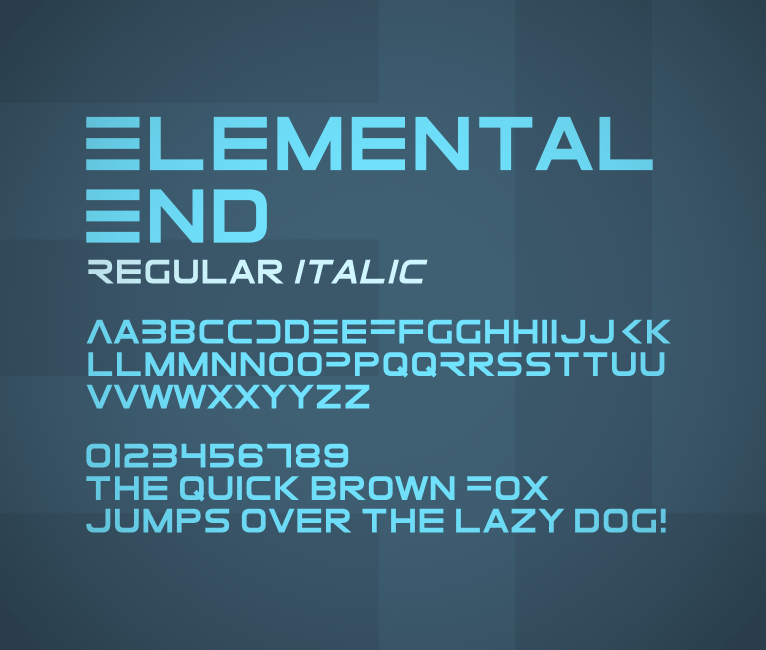 Comes in regular and italic. Upper case letters are alternative forms, while lower case are more standard and readable forms. Includes alternative versions of A, B, D, E, F, K, P, R and AE. If this font lacks symbols that you need or you spot a strange looking kerning pair, please let me know! 2012/7/10 Update, version 2.00: Re-did some of the glyphs to keep the brush width constant, re-did the italic version, added more alternative forms of some letters, fixed naming/formatting, kerning and a bunch of other stuff.